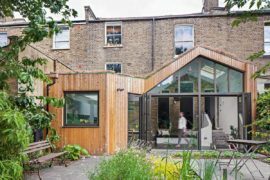 Whether global climate change is truly catastrophic or an exaggerated truth, opting for a home that is energy-efficient has plenty of perks not just for the planet, but also for the consumer. 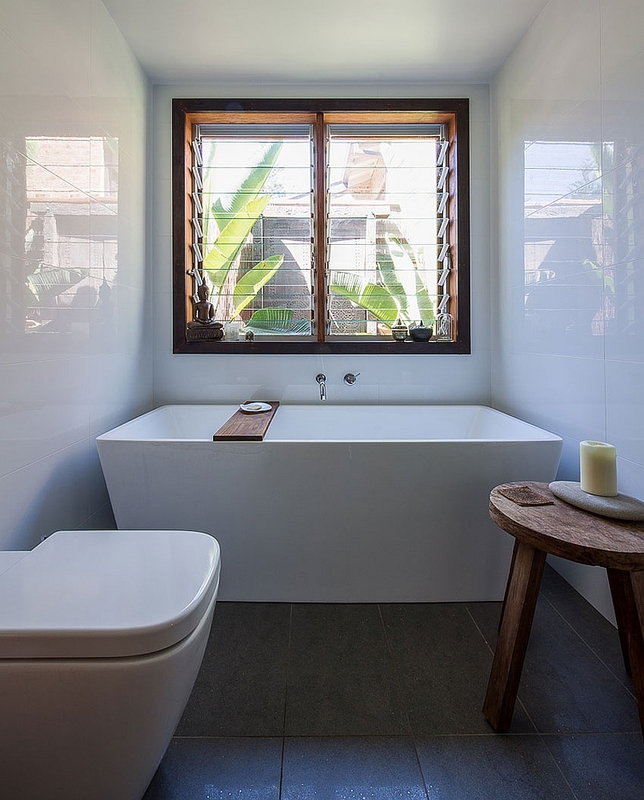 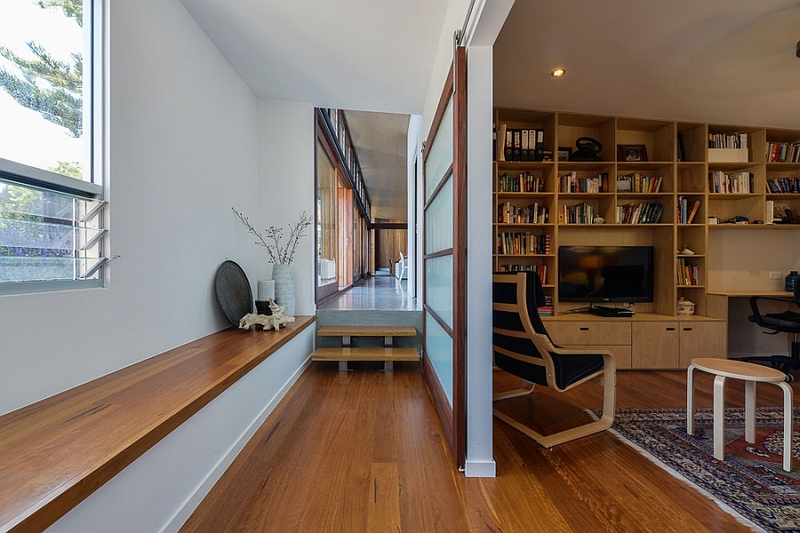 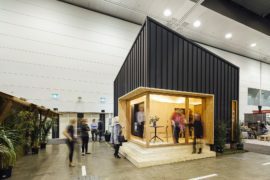 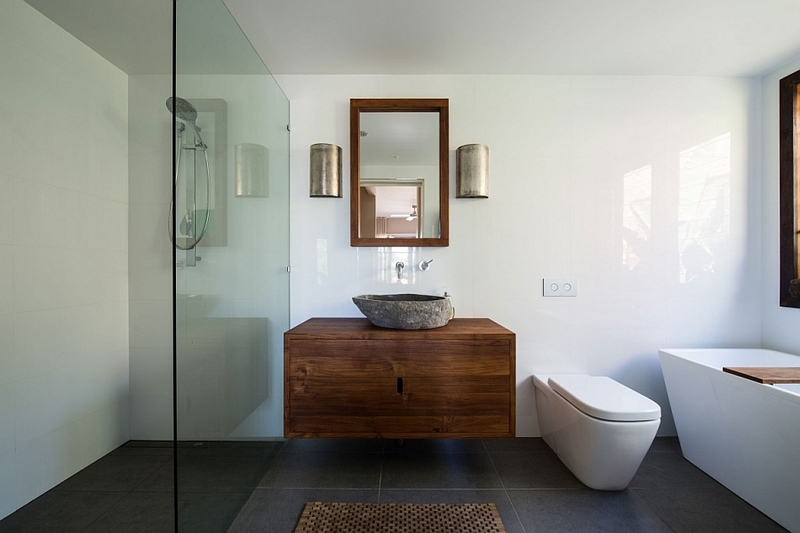 This is precisely why a growing number of homeowners are starting to take a turn towards renovation projects that are both stylish and sustainable. 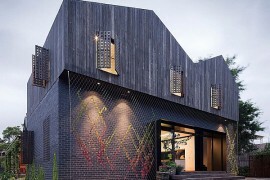 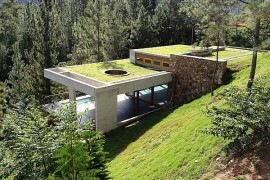 With smart design and a few simple yet inexpensive changes, one can cut down on both carbon footprint and power bills! 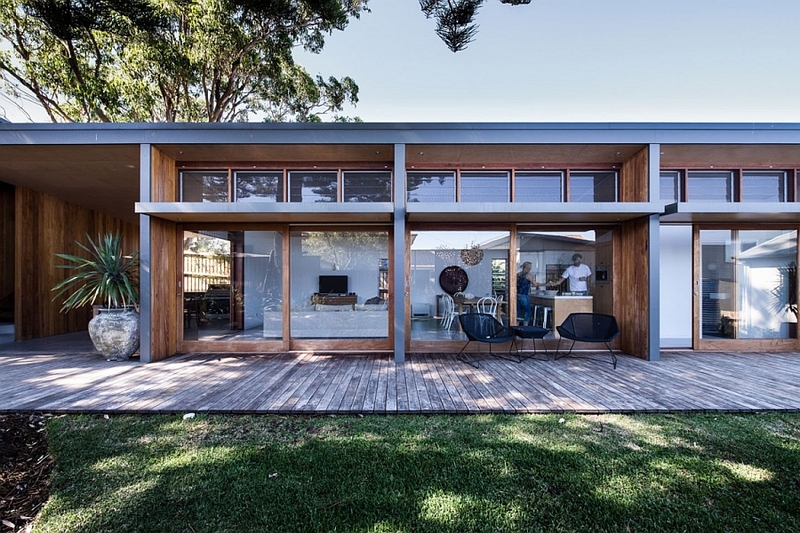 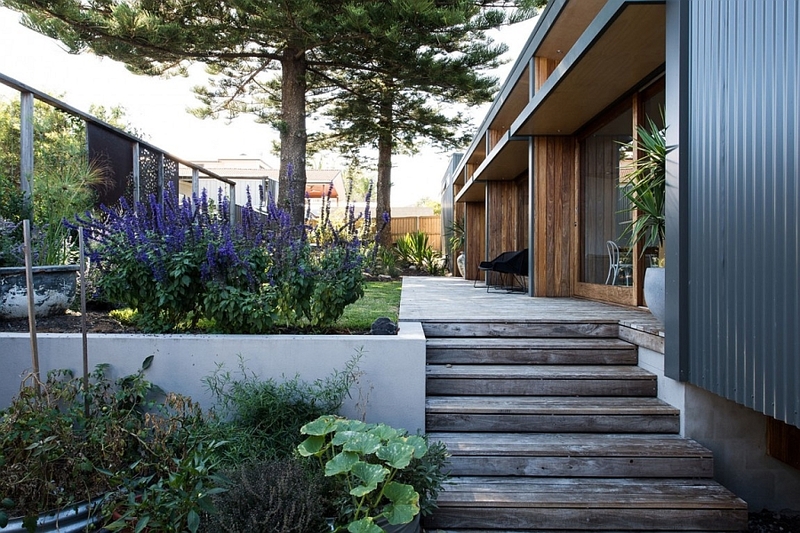 Adopting this green mantra in a charming and serene fashion, Bourne Blue Architecture revamped an old 70s home in Redhead, New South Wales, Australia into a breezy, modern hub. 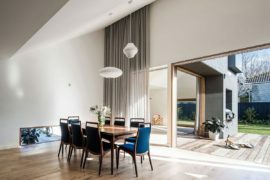 Instead of starting from scratch, the architects converted the existing living areas into cozy bedrooms and other private spaces, while a brand new wing was added to accommodate a new living room, dining area and kitchen. 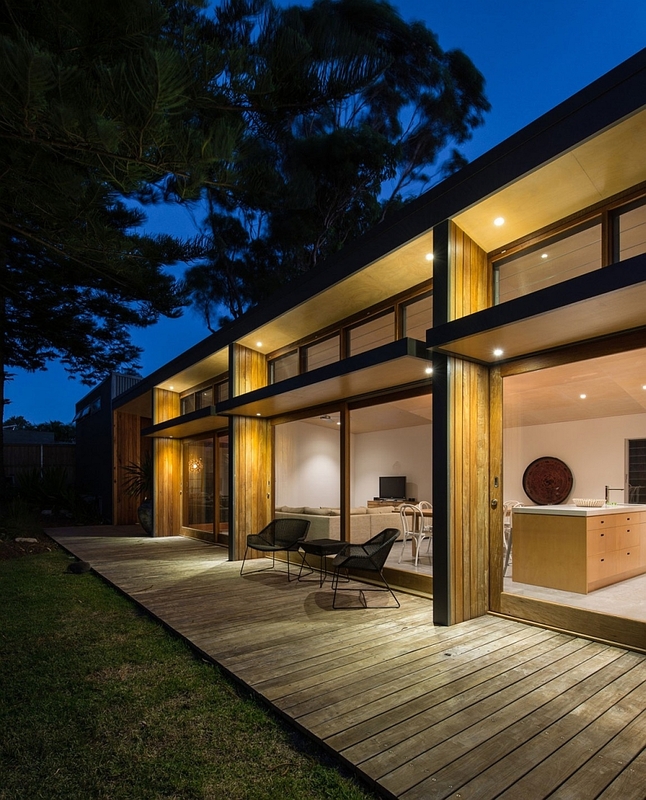 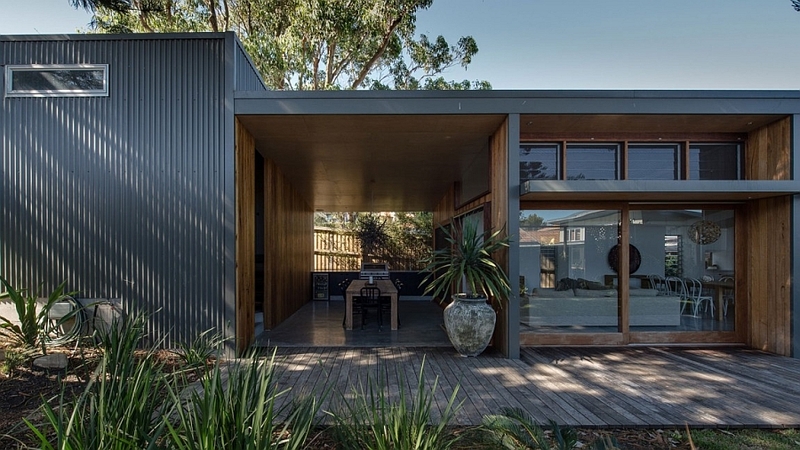 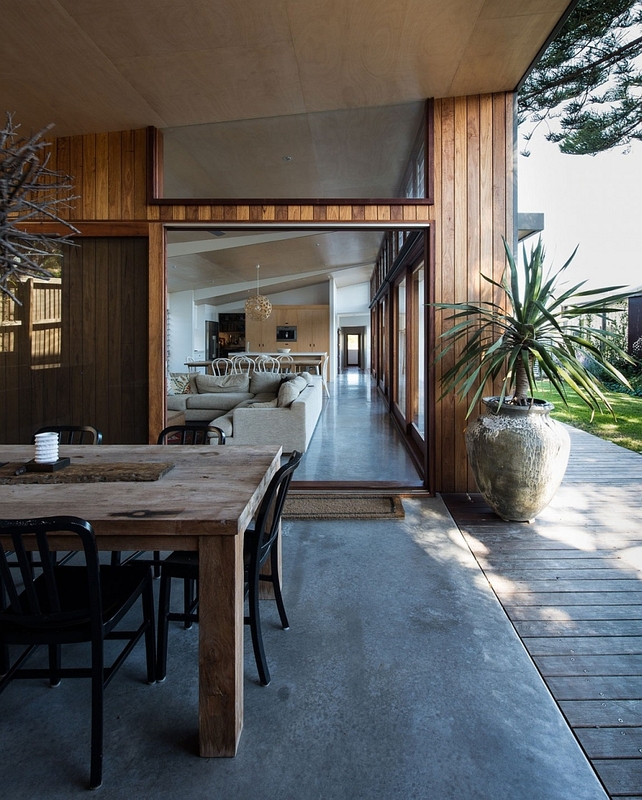 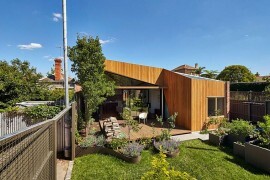 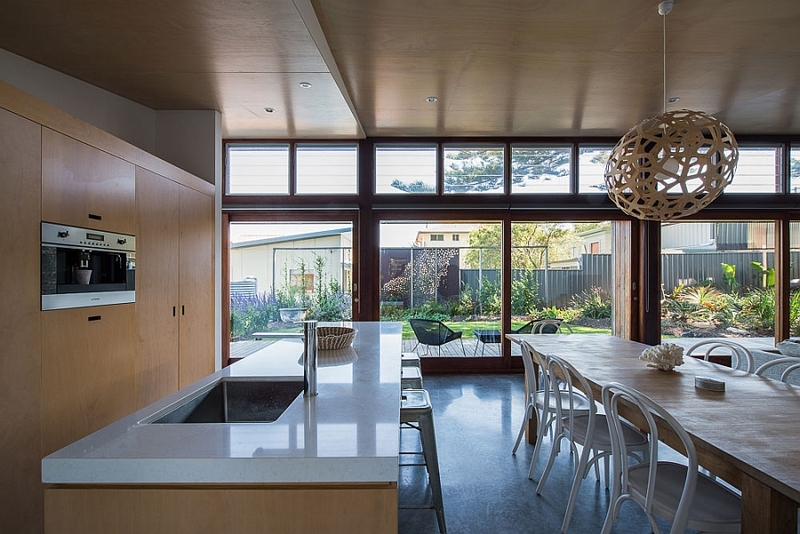 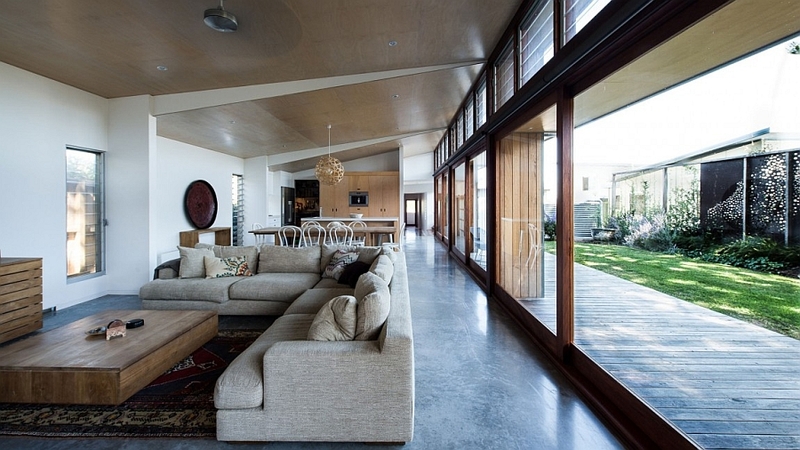 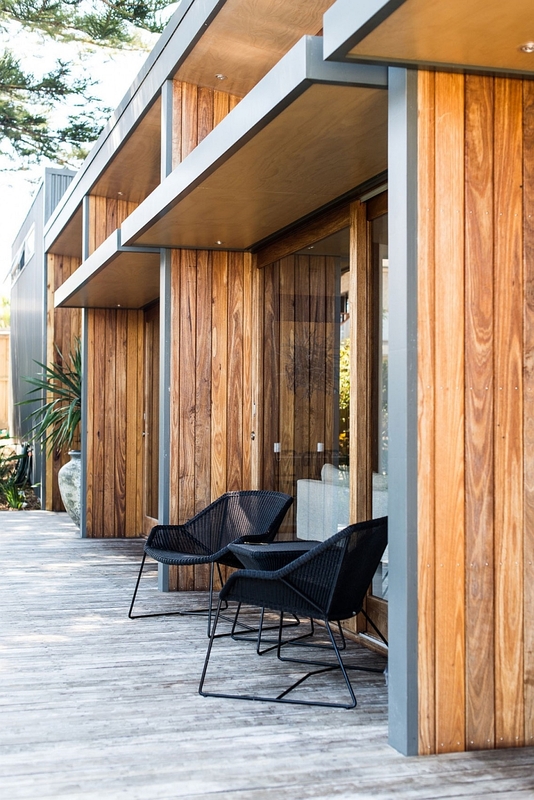 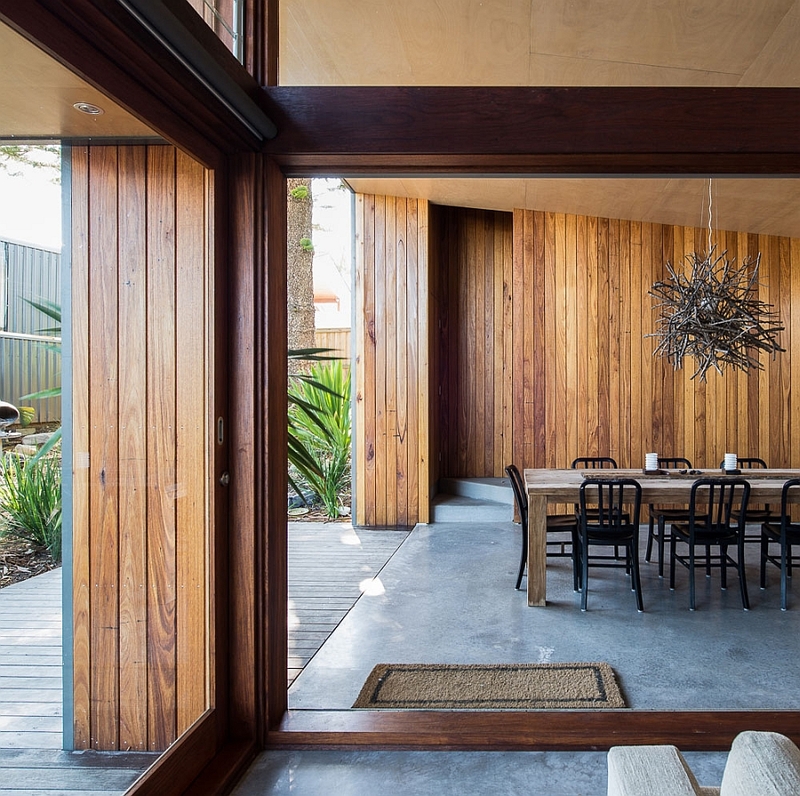 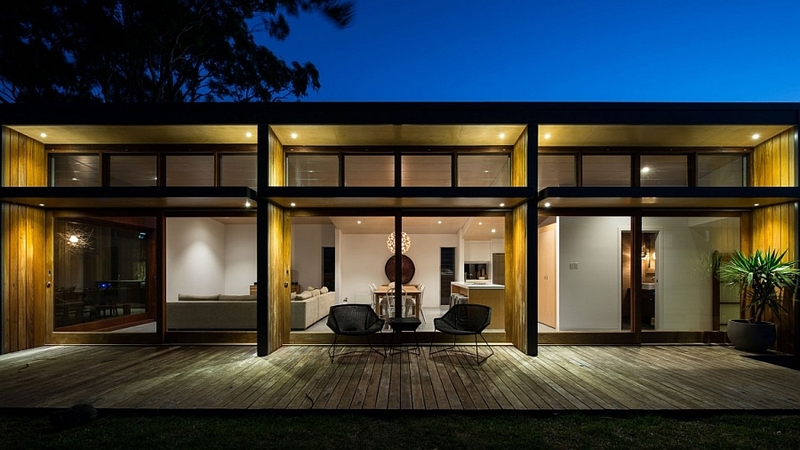 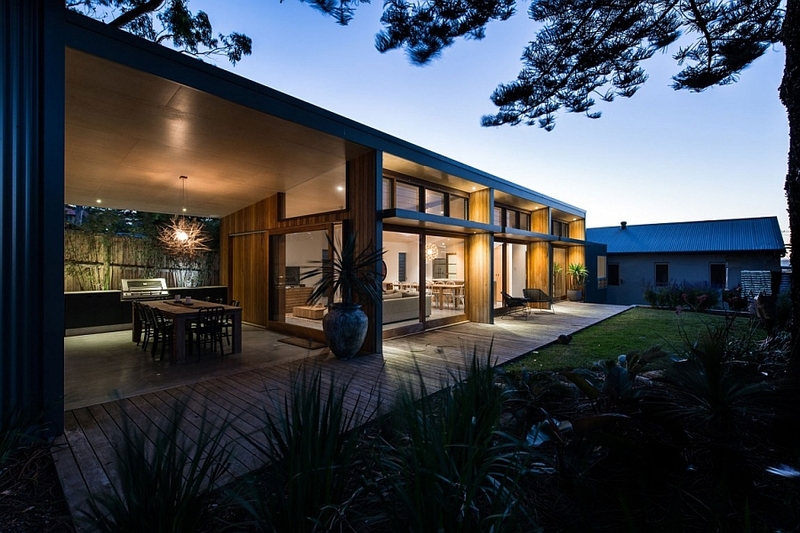 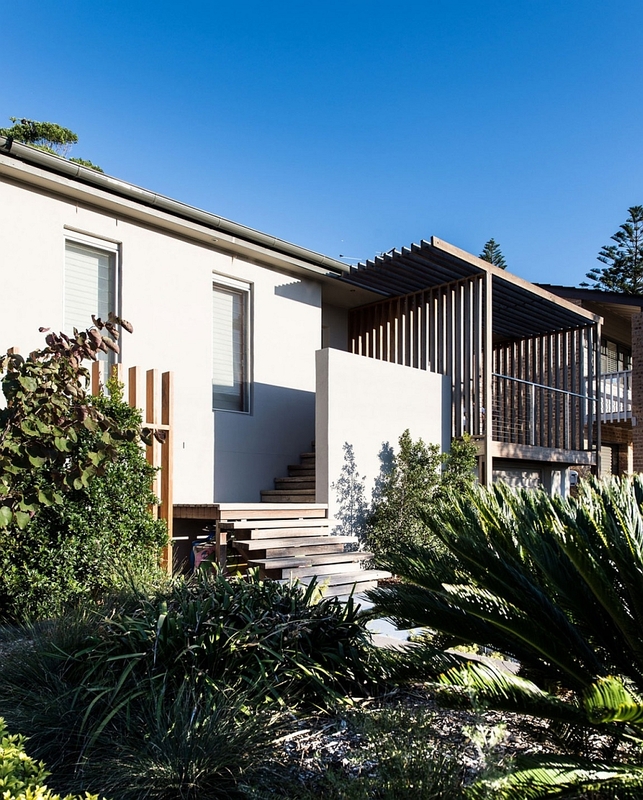 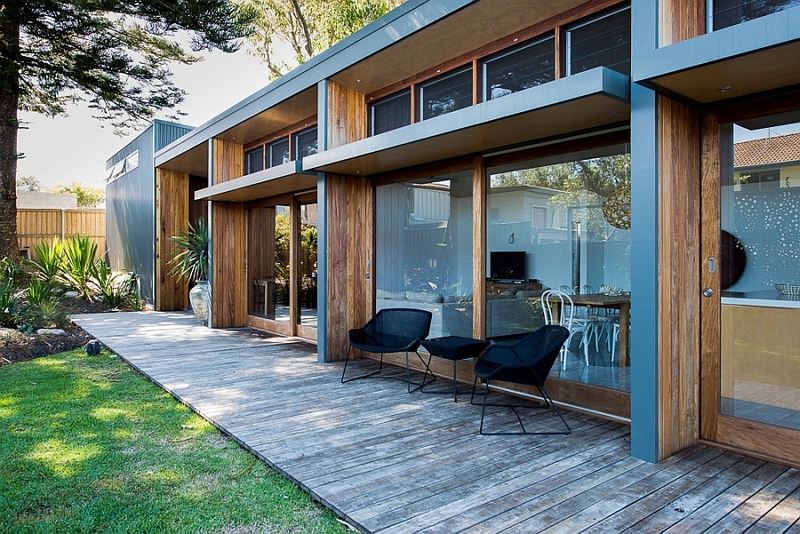 Opening up into the yard, this new extension is clad in Australian Hardwood while a metal cladding lends able support. 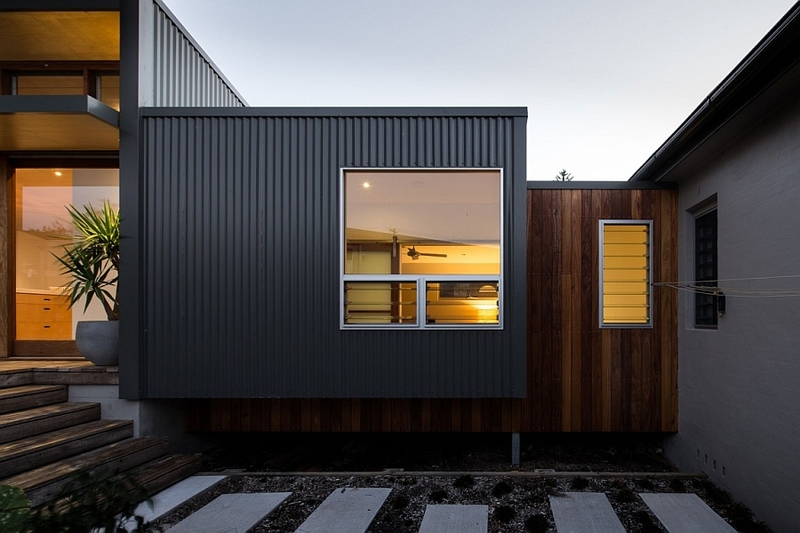 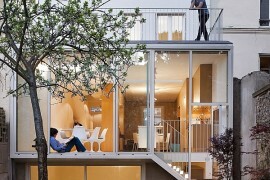 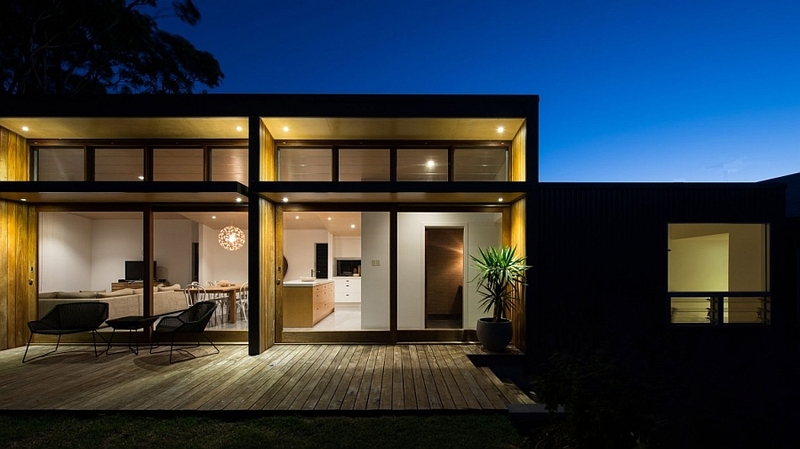 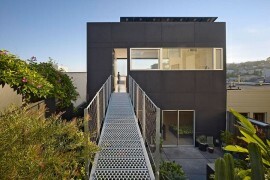 The design is simple, efficient and reminds us of prefab metallic homes. 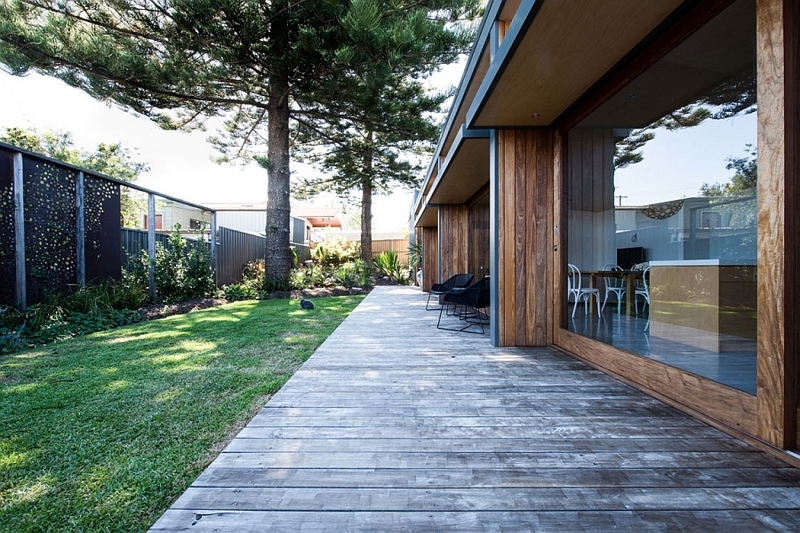 Large sliding glass doors connect this entire area with the yard in a seamless manner. 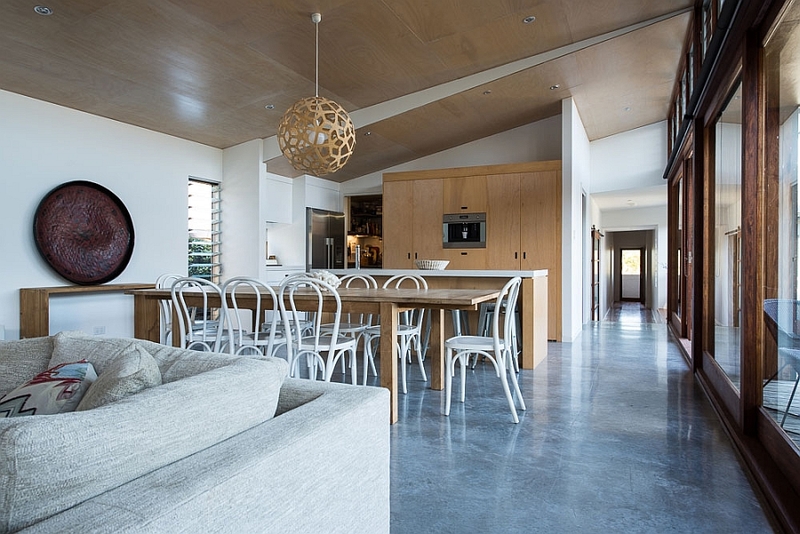 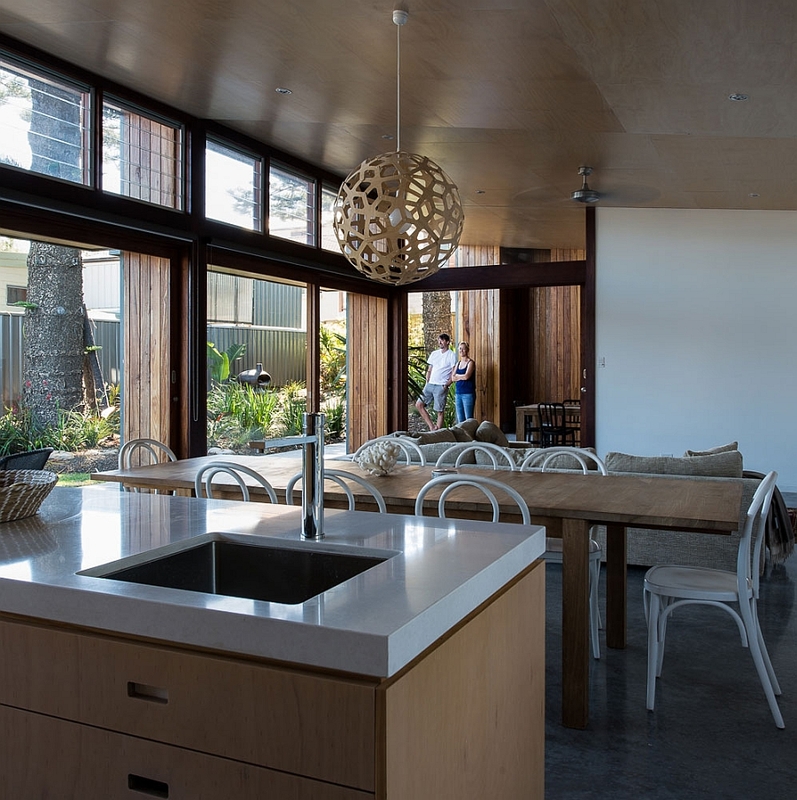 Unassuming in its appeal, Redhead Home renovation features roof water collection and a recycling system, low-energy LED lighting, top-notch insulation and a design that incorporates passive heating and cooling strategies. 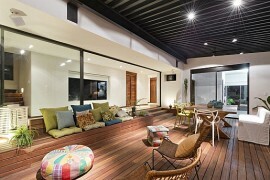 An interior clad in neutral hues and lighting that breathes life into the living areas complete the transformation.